Nextre:Invent 2018 – 55 Days to Go…. Missed one of the feature releases? No problem! 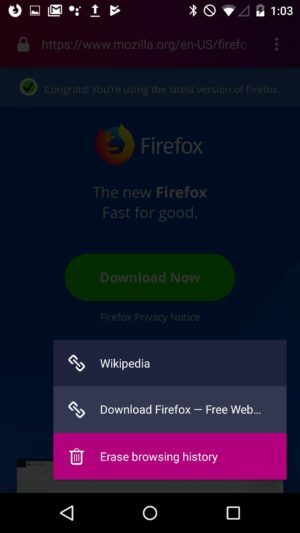 Now, we’re going to present the core functionalities of Firefox Focus on the start screen to give an overview of the whole range of possibilities your privacy browser has to offer – in a clear and unobtrusive way, not interrupting the usage at all and automatically refreshing after each click on the Erase button. Just open the browser and you’ll see helpful feature recommendations in your preferred language on the Firefox Focus start screen (Android). For iOS users, the feature is currently available in English language. 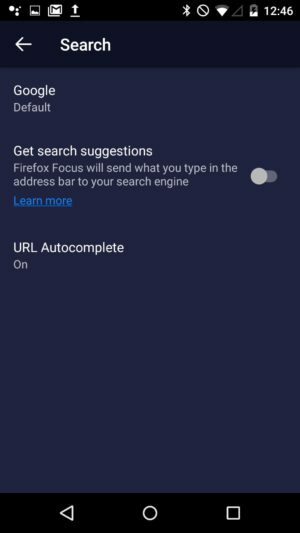 We’re aware that privacy is a top priority for many Firefox Focus users and you might not want to share what you’re typing in the address bar with your search provider. So, the feature is turned “off” by default and we let you choose whether or not you want to turn it on. Why? Because that’s our style! Find what you’re looking for quickly – with search recommendations. 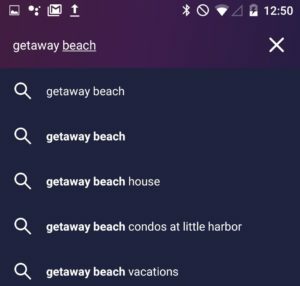 Style is key to today’s Firefox Focus release: the browser’s visual design is now completely optimized for the recently released Android Pie. New icons, a customized URL bar and a simplified settings menu make it easier to use and provide for a consistent user experience. 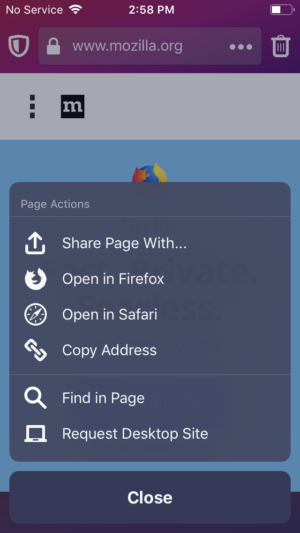 But no need for iOS users to feel left out: the new Firefox Focus has a fresh look for iOS 12. Presentation matters: the new Firefox Focus comes with an updated design system, optimized for Android Pie (left) and iOS 12 (right). We’ll make sure to keep you updated on the progress as well as all new developments around Firefox Focus on this blog and are looking forward to your feedback! For now, if you’d like to learn more about the future of our privacy browser, please have a look at this post on the Mozilla Hacks Blog.